~Does the color of the activated charcoal ever bleed? How does it mix with other colors?? it bleeds some but not very much compared to the black oxide. I haven't really tried mixing it with other colors to darken them down, might have to try that. 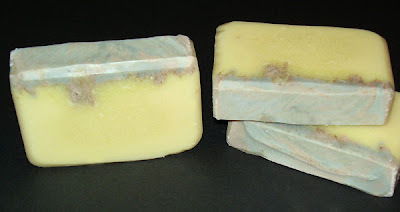 I have used it in less amounts and gotten some nice grey's like in this Nag Champa batch. What's up with the vanilla scent changing to Play Doh scent? Is it just this brand of Very Vanilla or all vanilla fragrances? I have had it happen with other scents. One being Cupid. This FO wasn't the freshest so maybe that caused this one to turn? I swear I made this scent when I first started soaping and it was ok. The cupid wasn't old when I made it. 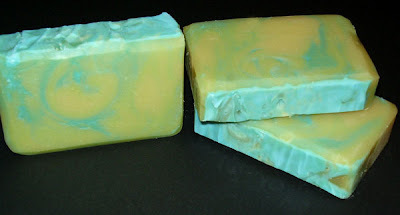 So maybe it was just the soap gremlins getting my batch of soap?!! !